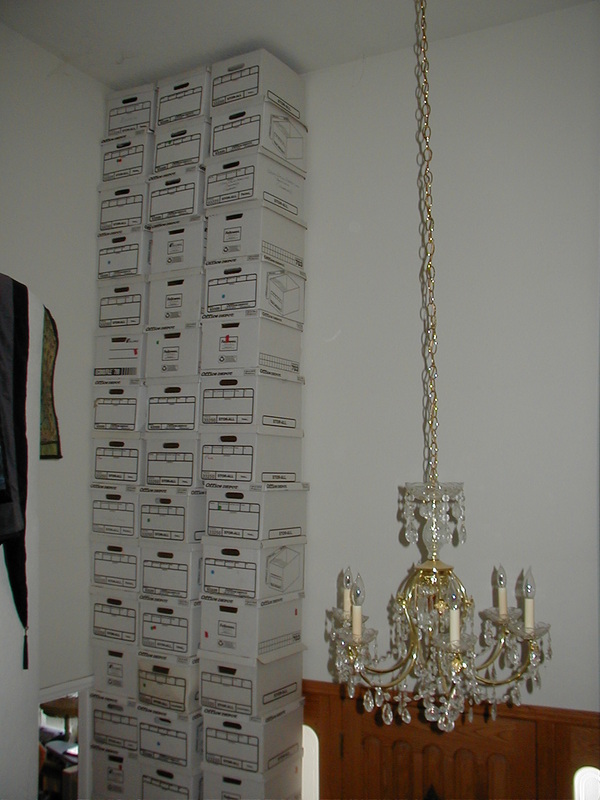 "Extreme Jenga." 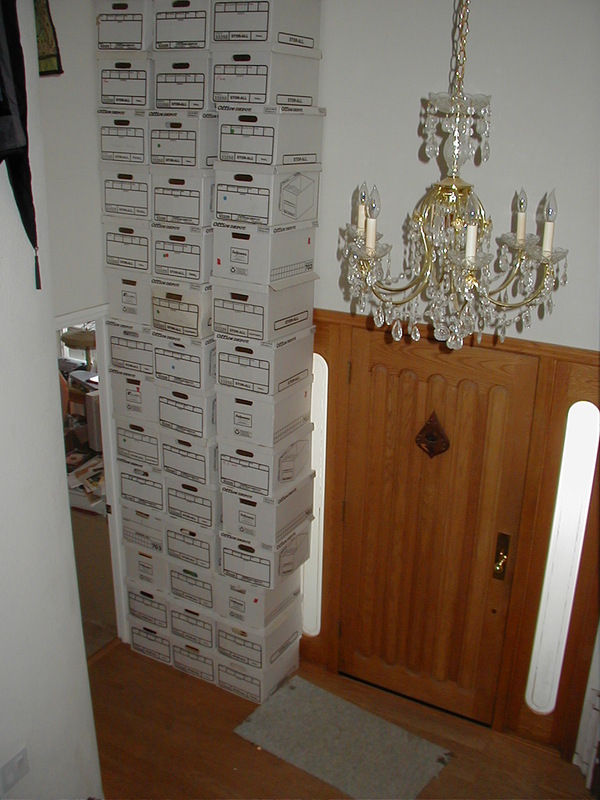 A two-story stack of storage boxes. 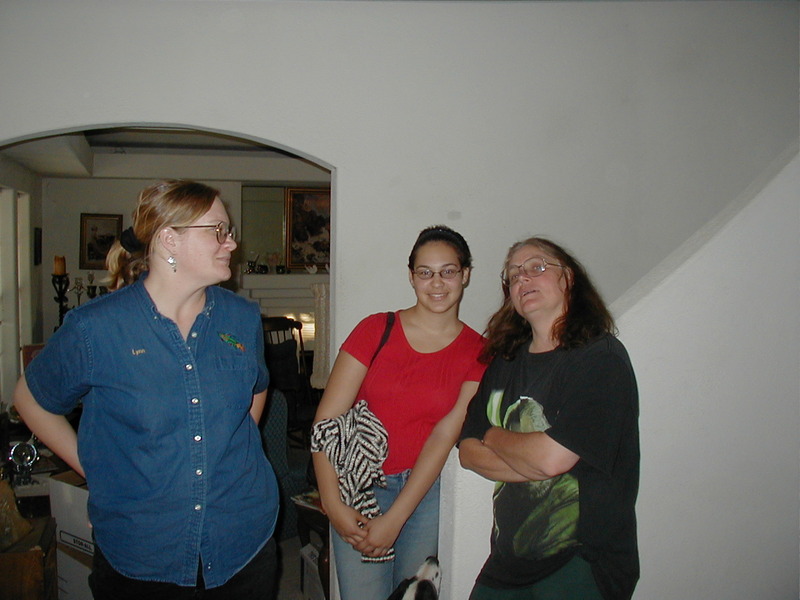 Lynn Baden, Maria Rodriguez, Sue Dawe. Maria Rodriguez, asleep in the car.